Some names are what they are. MGM Grand is one such a name. 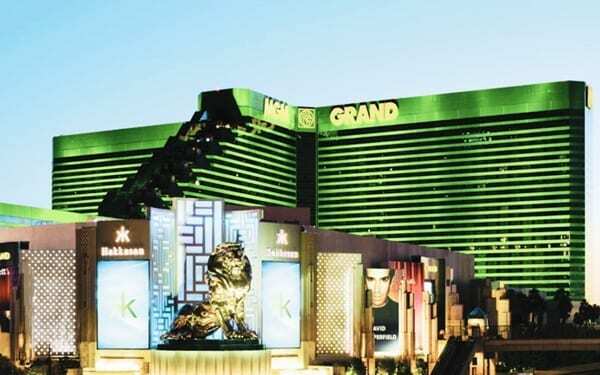 If you visit MGM Grand Casino, then you know that it is one of the best and huge facilities in the world. Above all, t his is truly an entertainment hub. It is a haven. MGM Grand is an epitome of entertainment. But why will someone give such praises to the facility? There are several reasons. The facility has a large 5, 000 rooms! The casino is in record as the second single property with many rooms. Most noteworthy, this is good news. But to your surprise, this is not what makes MGM Grand the big thing. What makes MGM Grand the big thing is that everything on the property is big. Yes, everything at the hotel is spacious. It is spectacular. This casino is so far the grandest in the whole of Vegas. Right from the public pool to the rooms, the restuarants, everything is humongous. It is in this property that big tournaments such as boxing takes place. Although it is not the only venue for boxing, many of them take place here. Many celebrities flock this place. The facility has one of the largest parking lots in Nevada. But there are certain days when you cannot find space. Do you think that is hyperbole? Not at all! Over the years, there are various renovations on the property. Every time there is a revamp, rooms are the priority. Also, this is to ensure the place looks modern. Clients are the priority. In a more recent renovation exercise, the operator uses $160 million to renovate. To that effect, the area now looks fantastic. It has the latest equipment. A section of the clientele is, however, crying foul. They say that they are not receiving personalized attention. Considering the enormity of the place, this is possible. But the staff is trying all it can to ensure it serves clients right. It is also reasonable to expect long lines at various checkpoints. There are also arguments that the staff is not as efficient as possible. Above all, this happens when it comes to handling specific requests. Things seem to be different however when you elevate to The Signature. Above all, this is a lofty section of the facility. It is where services flow as you want. But these services as you know do not come cheap. There is no mention of client segregation, or nothing is close to that. The issue here is that MGM Grand has a different section. In these different parts, there are various services at a different price tag. Nobody should feel that there is isolation. There isn’t any. If you pay more to get more that is okay. Is it not? You will notice that there is something for everyone. For instance, at MGM Grand, there are family suites. Food is in plenty. It doesn’t matter the type of food. Say your order, and there it is. Kid-friendly restaurants include Rainforest Café. The restaurant has animatronic gorillas. There is also a misty rain shower every few minutes. Do not worry that when you visit MGM Grand, you will be wet. That is not it. You will stay dry. For more information call (702) 891-1111.